While serving as President of the Fillmore Utah Stake, President David L. Christensen received instructions from Area President Vaughan J. Featherstone to initiate and supervise missionary efforts at Cove Fort under the direction of the Utah South Area Presidency on May 5, 1989. President Christensen, along with his counselors, Kent Swallow and Alan Mathews immediately began this assignment. Seven couples were called to carry on the missionary work for the 1989 season which ran from June through October. The total number of visitors to the fort the first year was 16,866. Restoration work began late in 1989. In 1990 two more couples were called to make a total of nine couples. The number of visitors more than doubled that year from April through October, to 36,269. In 1991 one more couple was added and there were 37,941 visitors. There were 16 couples in 1992 and 57,920 visitors. By 1993, church leaders were impressed with the great interest in the fort, and the first mission director was called. 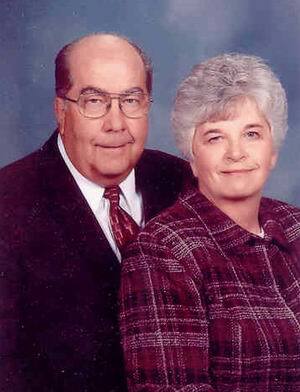 Elder Carvel Jackson and his wife, Lois, served as the directors for the next two years. The Fillmore Utah Stake continued to provide missionaries for the fort, as well as the Delta, Beaver and Richfield Stakes. A total of 85 missionaries served in 1993, this included couples and single adults. The number of visitors climbed to 82,511 that year. The dedication of Cove Fort was held May 21, 1994. Church leaders in attendance included President Howard W. Hunter, President Gorden B. Hinckley, Elder Neal A. Maxwell, Elder Stephen Nadaul, Elder Jeppsen, Elder George and their wives. It was estimated that there were over 3,000 people were in attendance. Total visitors in 1994 was 69,313. The Fillmore Utah Stake continued to provide missionaries to serve at the fort. President Christensen was released as stake president in 1998, but has continued his association with the Cove Fort Mission in his work as Facilities Manager for the LDS Church. He and his wife, Gaye, have greatly enjoyed their association with the directors and all the missionaries since the mission was created, it has truly been a blessing in their lives.